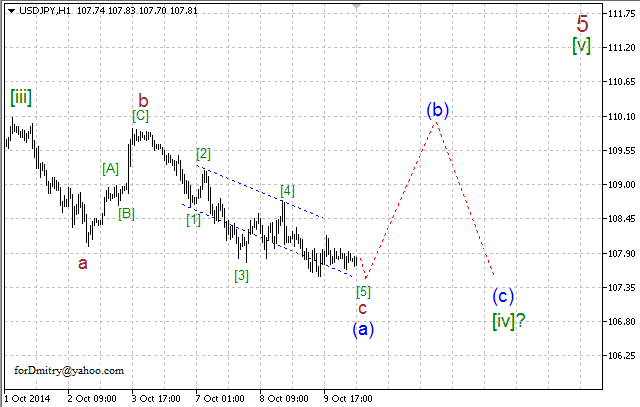 One of the possible scenarios implies that Euro is forming the final descending wave (E) of [B], which may take the form of a large zigzag. 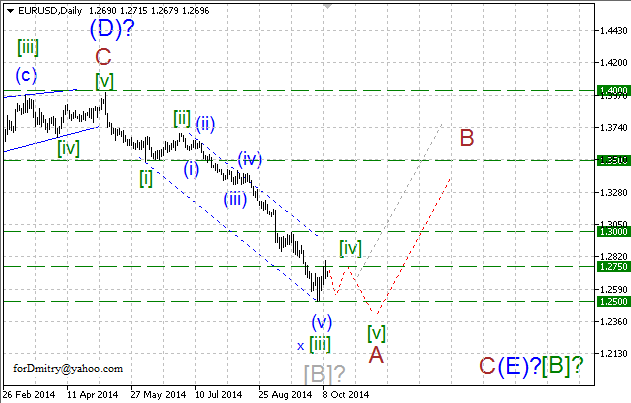 The pair has started forming a local ascending correction [iv] of A of (E) of [B] of a descending impulse A of (E). Possibly, the price is forming an ascending correction [iv] of A, which may take the form of a long horizontal correction. 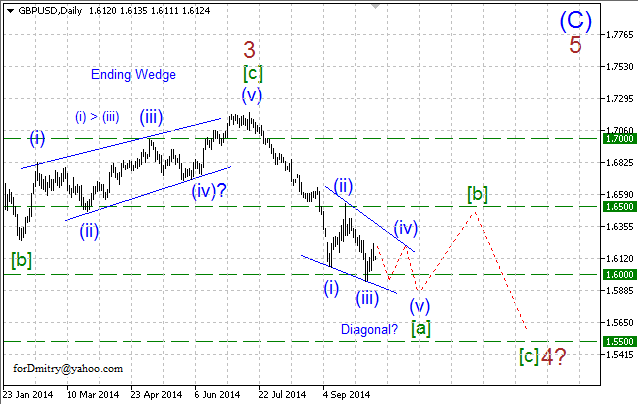 Right now, the pair is forming a descending zigzag (b) of [iv]. Probably, the pair is forming an ascending zigzag(a) of [iv]. 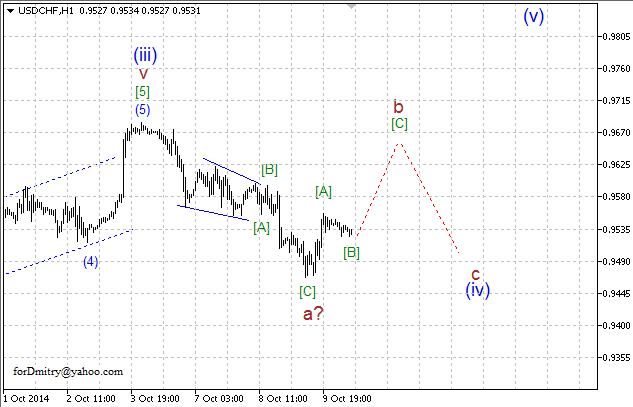 At the moment, the price is expected to start a descending wave c of (b) of [iv]. Probably, Pound is forming a descending wave 4 of (C) of ending triangle(C), which may take the form of zigzag or more complicated pattern. 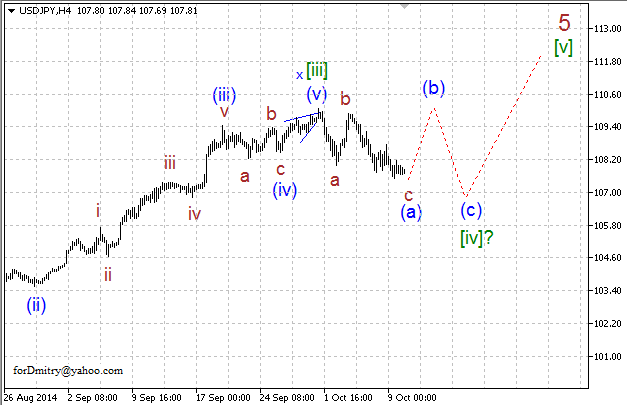 The pair is completing wave [a] of 4 in the form of wedge. 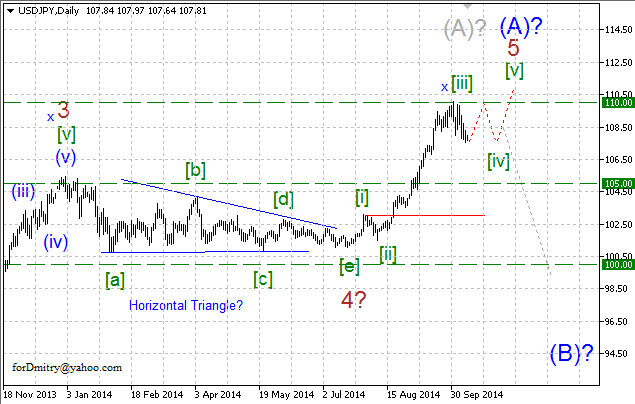 Probably, the price is forming an ascending correction (iv) of [a], maybe in the form of horizontal triangle. 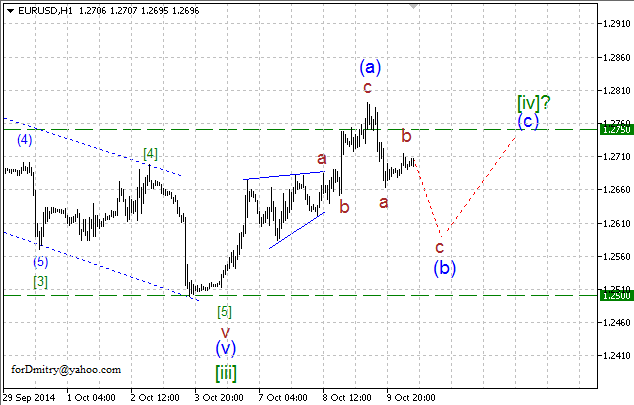 Right now, the pair is forming a descending zigzag b of (iv). Possibly, the pair is forming a descending zigzagb of (iv). At the moment, the market is expected to start a descending wave [C] of b of (iv). 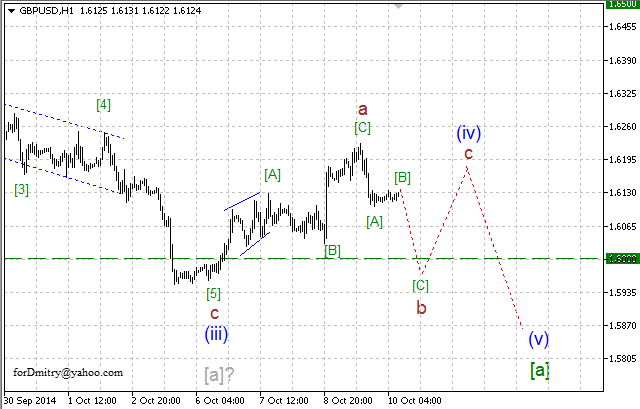 One of the possible scenarios implies that Franc is forming the final ascending wave E, which may take the form of a large zigzag. The price is forming a descending correction (iv) of [a] of E of an ascending impulse [a] of E, which may take the form of horizontal triangle. 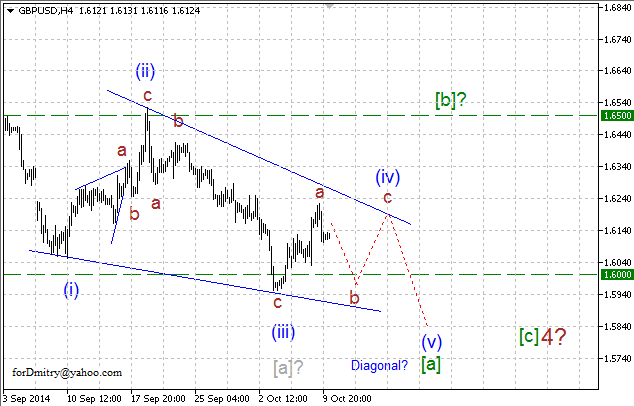 Possibly, the pair has started a descending correction (iv) of [a], maybe in the form of horizontal triangle. 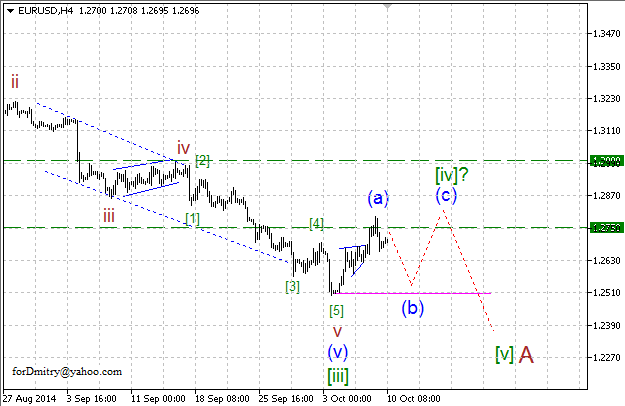 Right now, the price is forming an ascending zigzag b of (iv). Probably, the price is forming an ascending zigzagb of (iv). 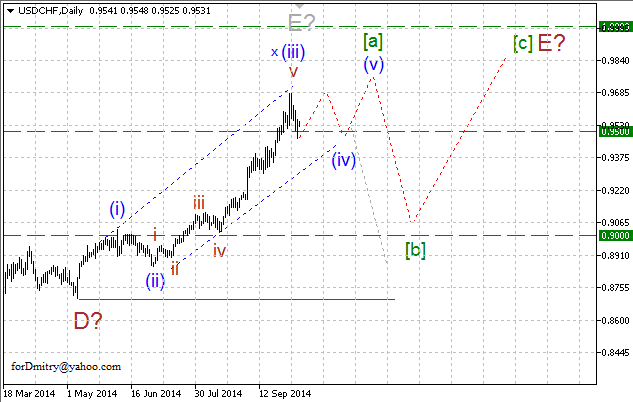 At the moment, the market is expected to start an ascending wave [C] of b of (iv). 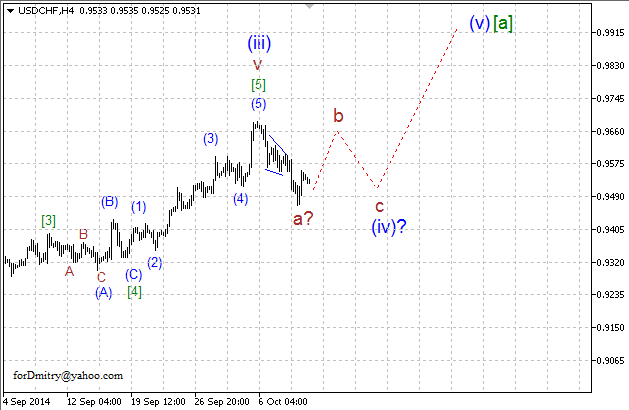 Probably, Yen is about to finish a large ascending impulse (A). Right now, the price is forming its final ascending impulse 5 of (A). Probably, the pair is forming a descending correction [iv] of 5, which may take the form of a long horizontal correction. Possibly, the price is completing a descending zigzag(a) of [iv], which may be followed by an ascending zigzag(b) of [iv].